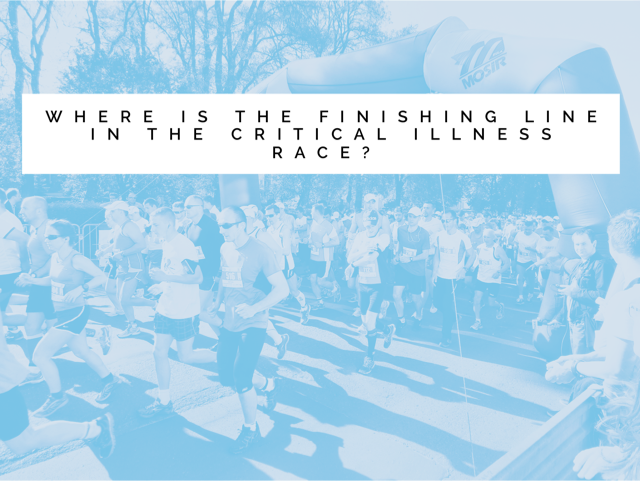 Where is the finishing line in the critical illness race? Roger Edwards from the Protection Review charts the history of the critical illness race we've been running for 30 years. Can it really be 30 years since critical illness cover came to the UK? When Abbey Life and Allied Dunbar took a South African invention and tried to convince advisers it was the future of protection? In days after the abolition of Life Assurance Premium Relief, the arrival of regulation and the maxmimum commission agreement, a new product should have been warmly welcomed. But take up was slow. Advisers were concerned about the critical illness definitions. All six of them. How they differed between companies. Whether companies would pay out. Whether there was a need for such a product at all. Some companies stuck at it. Pegasus. City of Westminster. The Life Association of Scotland. And Prolific Life who I was working for in the early 1990s. I remember attending a brainstorming session facilitated by a youthful Martin Werth about the company’s entry into what was still called the “dread disease” market in 1991. Martin predicted that critical illness would competitive quickly if the initial products were successful. I remember shrugging of shoulders and acceptance of the possible need to add conditions regularly to stay ahead of the game. Prolific launched Self Assurance, at the time the most comprehensive plan available. Covering about 10 conditions plus total permanent disability. Two weeks later popular flexible whole of life provider, Skandia, launched their own plan. Their adverts proclaimed that, “It’s what our competitors have been dreading.” Skandia added a few more conditions. And so “the illness race” began. Thanks to John Joseph’s paper based Guide to Critical Illness, and a series of roadshows by NFIFA the market started to grow throughout the 90s. More companies entered the fray. The illness race intensified. Plans became more complicated. The ABI had to step in and create standard definitions after concerns by the Office of Fair Trading. By the mid-2000s critical illness market growth slowed. Concern over premium rate guarantees led to price increases. News stories about declined claims made consumers wary of the product. Some advisers were put off by the complexity. The industry’s response to a contrating market was more of the same. Adding more conditions. Fightly for pole position in the illness race. Every year we eagerly await the publishing of new business figures in the first quarter. Who will build upon their previous successes? Who will increase their market share? Such declarations give us an insight as to the shape of the provider in question but also about financial services markets in general. In protection, another eagerly awaited source of market intelligence is Swiss Re’s Health and Term Watch report, usually published in May. This is a deep dive into protection new business figures. The report looks at life cover, critical illness and income protection separately. Their 2015 report, covering sales during the previous year, made for depressing reading. Each of the three most important protection sectors, life, critical illness and income protection showed double-digit reductions. Everyone in the market waited expectantly for Swiss’s latest publication covering sales in 2015. Would the decline be reversed? Despite a sharp increase in direct to consumer term life insurance sales, overall sales of life cover fell a little again. Income protection enjoyed a modest increase, perhaps due to the success of the 7 Families campaign. But the critical illness slump continued. Over 30% reduction spanning the last two Health and Term Watch reports. That’s a shame because after a decade of hard work, we’re starting to shake off some of the negative perceptions people have of protection in general and critical illness cover in particular. Positive stories about critical illness cover abound in the trade press. You can read stories about record claims payments often in the high 90% from most companies. The industry has worked hard to over come customer perception that we turn down the majority of claims. We should celebrate this success. But at the same time be aware customers still think the actual pay out rate is more like 50%. Consumers still distrust protection providers and think they will weasel out of paying claims. The national media certainly fuel that fire by printing sensational stories about ever fewer declined claims. We need more promotion of those strong claims figures to reinforce the positives. It’s a long game and we need to play to win. It’s not just good news about claims. You can scan reviews here on the Protection Review website. And in the trade press and on the many comparison services. You’ll find frequent additions to the number of illness and disabilities covered. The breadth of cover on offer is approaching fully comprehensive. We’re giving consumers more cover than ever. That’s got to be good, right? But still the market plunges year on year. Despite the positive success stories about claims and conditions covered, fewer advisers are talking about critical illness cover. Fewer consumers are buying it. What’s the problem? Has competing on complexity, the “illness race”, gone too far? Are approaching 100 conditions, partial payments and ABI plus definitions too much for advisers to explain, or too difficult for customers to take in? It seems likely. But what can we do about this? Providers that fall behind the pack in the race drop down the rankings on comparison services. They might find their positions on adviser panels at risk as a result. No one can afford to fall behind even if they know that continuing to participate isn’t going to growth the market overall. It seems the market is crying out for something different but different won’t get recommended. Most product providers won't try anything new because it takes time for something new to catch on. Better to hang on in there and compete for a share of a declining market rather than admit that the product needs to change. Or that the market at least needs an alternative. A “Catch 22” situation then? What else is holding back market growth? Is the long and intrusive underwriting process now just too much hassle for the reward, commission or fee, of recommending the cover? Will anyone admit that it’s impossible to win the illness race and drop out whilst still invigorated enough to start running in another? Is a simpler product, perhaps covering outcomes rather than conditions, as suggested by CI Expert’s Alan Lakey, the answer? The critical illness market is a conundrum. Thinking back to that brainstorming session with Martin Werth nearly 25 years ago. The Marketing Director of Prolific predicted that the market would settle eventually and we’d have to run in the illness race until it did. Well it hasn’t and we’re all still running. Can anyone see the finishing line yet?